Monday, December 3rd at 6:00 pm (we will not have evening classes on that day!). We will meet at the Walnut Street Plaza at 5:00 pm, gather and walk together to the site. If you can’t make it at that time, follow the location on the map bellow to find us. After the parade is over, we will drive back to the Walnut Street Plaza for parents to pick up, and/or for dismissal. If you need other arrangements, please let us know ahead of time. Main Street will close at 4pm. You may begin lining up at this time. 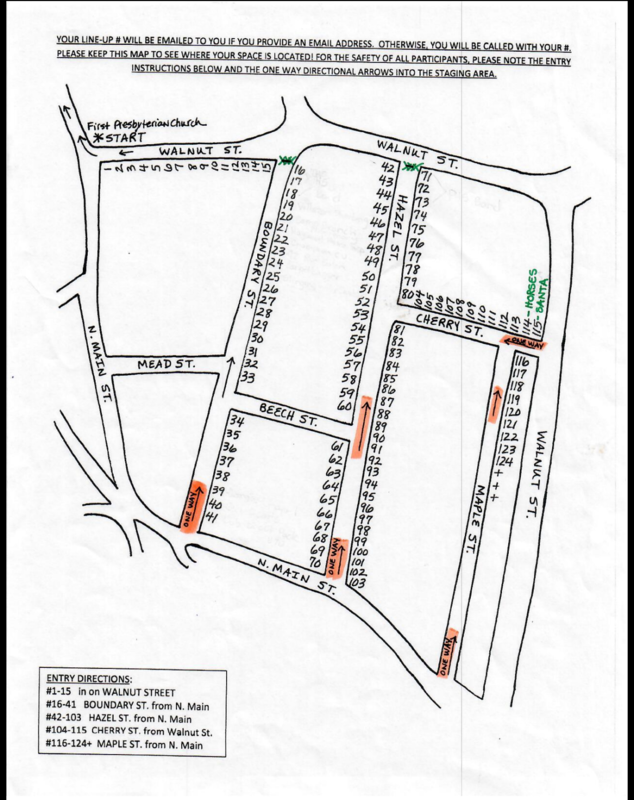 Please follow the one-way directions on the attached map and watch for DWA Volunteers directing you to your positions. Children and float riders being dropped off must be dropped in the Habitat ReStore parking lot on Walnut Street and then walk to their floats. Please follow guidelines for line-up and disbanding. Going to appropriate locations will ensure quick and orderly movements. Review the rules sheet. Of note: No Santa costumes and no throwing candy/handouts. All horses must be staged in spot 114 on Cherry Street. Horses and Santa will be the end of the parade. o ALL horse riders must sign a liability release to participate. A DWA Volunteer will be on-site with waivers. NEW THIS YEAR: We will be coordinating with some of our local retirement and nursing homes and medical facilities to arrange viewings of the Facebook Live coverage for the folks in our community who cannot make it down to Main Street. Please let friends and family know they can watch for you on Facebook on The Mountaineer or Downtown Waynesville Association Facebook feeds. Help friends and family set it up on their devices or contact their facility to see if they will arrange a viewing area. 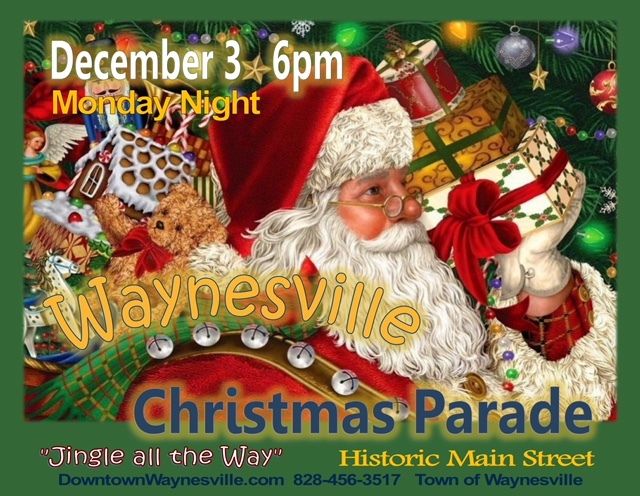 o Please use #WaynesvilleChristmas in your social media posts.